Inline’s Product Recovery Systems are designed to provide the most effective product recovery results, potentially saving thousands of dollars in waste. Below is a collection of Product Recovery videos, datasheets and brochures to help you better understand our selection of Product Recovery Pigs and Systems. We offer an extensive selection of both industrial and sanitary pig options, the VIPRS® and SUD® Pigs, available in heat and chemical resistant, as well as chemical and food grade materials. 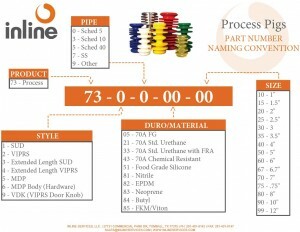 Please don’t hesitate to contact the Inline Team if you have any questions or need guidance on which type, size or material is best for your particular system. Inline services can assist you in navigating our vast selecting the right Product Recovery System for your application. Contact us today Toll Free: 888.973.0079 Local: 281.401.8142. When a single pipeline is used for many products (e.g. different flavored yogurt), a cleaning cycle has to take place between each product or the interface is sent to waste. The Inline Services VIPRS Pigging System is designed to run between products and fully evacuate the first product to avoid contamination with the next product run through the line. Multiple VIPRS pigs can be run continuously to separate a number of products therefore fully utilizing a single pipe section. Wastage of the contaminated interface would be avoided or entire CIP cycles eliminated, thereby saving cleaning fluid and reducing the amount of effluent that has to be processed. Below are four animations demonstrating common VIPRS pigging system configurations. This animation demonstrates an Inline Services VIPRS pig running through a line where a JB pig receiver unit is present. Before the pig is placed in the line the valve has been closed so that no product is present behind the VIPRS pig. As the pig moves through the line the inside of the pipe is cleaned and excess product is pushed through to the destination. Once the pig triggers the magnetic pig senor and reaches the JB receiver unit, the unit is removed with the pig inside. Once the pig is removed, the receiver is returned to the pipe. This animation demonstrates a simple pigging system closure. Inline’s VIPRS pig is positioned in the launcher as the product is run through the pipeline. At the end of the product run, the VIPRS pig is launched to remove all product from the line. The pig will trigger the indicator to alert that the pig has reached the end of the line. 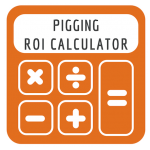 This animation demonstrates Bi Directional Pigging. 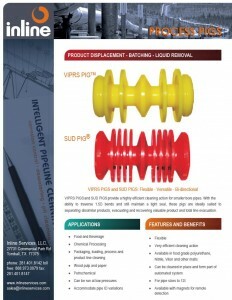 Inline’s VIPRS pig positioned in the launcher as product is run through the pipeline. At the end of the product run, the VIPRS pig is launched to remove all product from the line. When the VIPRS pig reaches the JB receiver, the propelling media is turned-off. When this happens the VIPRS pig is resting at the jail bar in the JB receiver; propellant is used on the receiver side of the pig to return it to the launcher. This animation demonstrates a fully automated VIPRS bi directional pigging process system with CIP. Inline’s VIPRS pig is first positioned in the pig launcher. The product is pumped from the storage tank to the destination. The VIPRS pig is then launched to push the remaining product to the destination and captured in the VIPRS wash chamber at the destination station. Next, the CIP solution is pumped through the line to wash the chamber and pig. Finally, the pig pushes the CIP solution out of the piping and leaving the pig clean and ready for the next product run. 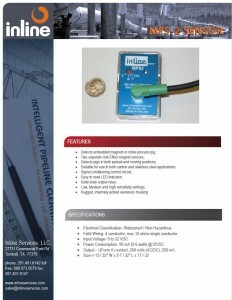 Inline services can assist you in selecting the right Product Recovery System for your application. Contact us today Toll Free: 888.973.0079 Local: 281.401.8142.